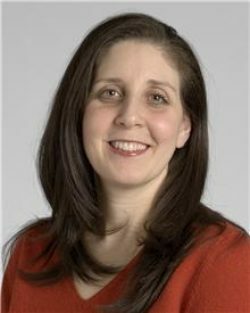 Brooke Gurland, MD is a general laparoscopic and colorectal surgeon in the Digestive Disease Institute at Cleveland Clinic. She has a special interest in evaluating and treating patients with functional bowel and complex pelvic floor disorders, including women with incontinence.She is board certified in general and colon and rectal surgery. Dr. Gurland is a recipient of the Jahnigen Career Development Scholars Award by the American Geriatric Association for a multidisciplinary approach to patients with pelvic floor disorders. She decided to focus her energies on women’s health during her medical training because she was frustrated by the lack of medical information and insensitivity toward the needs of women. Born in Philadelphia, she received her medical degree from Hahnemann University School of Medicine in Pennsylvania, and she trained in general surgery at Mount Sinai School of Medicine in New York. She went on to pursue advanced training in colorectal surgery at Cleveland Clinic in Florida. Dr. Gurland, the mother of three children, is a popular lecturer at Cleveland Speaking of Women’s Health conferences on digestive health in women. To request an appointment with Dr. Gurland, please call 216-444-CARE or visit the Online Appointment Request form.